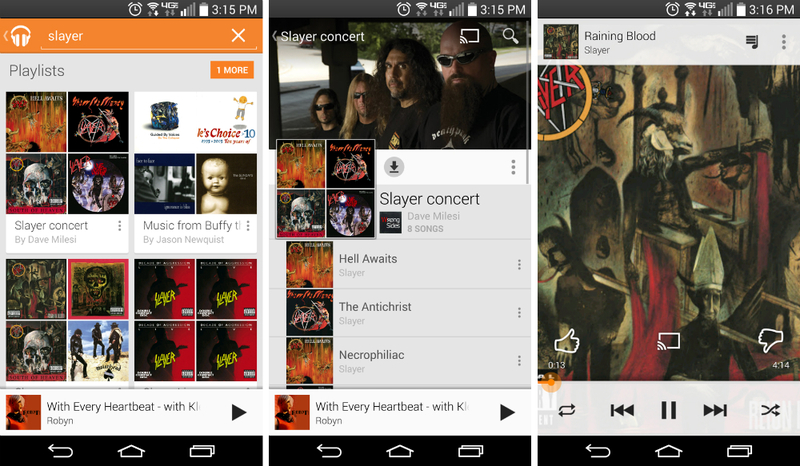 An update is rolling out to Google Play Music this afternoon, one which brings back a feature that was once available, then removed. The feature is public playlists through All Access, which was made available for a very limited time back in August. Now, the feature is back, and hopefully it is here to stay. With this feature, users can head into the Playlists section of the All Access application, then simply search for a group, song, or genre. If you scroll down in the results, you will see a section for playlists from public users. In these playlists, you will find lists of songs that will perfectly suit your needs. The update is rolling out to everyone on Google Play, so go grab it.